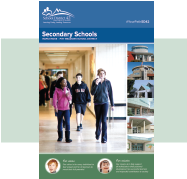 Download the Secondary Schools booklet. 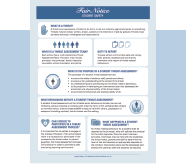 Learn about our policies and protocols around student safety. Westview Secondary programs include honours courses and career preparation programs, as well as second language classes in French and Spanish. Westview has a thriving international population which adds to the wonderful diversity of the school. The school has Grade 8 designated digital classrooms and next-generation learning commons library and research centre. Music classes consist of band (beginner, junior, intermediate and senior), jazz band, concert band and choir. Dance is a popular elective choice at the junior and senior levels. Drama and art classes are also available through to Grade 12. The school has a state-of-the-art theatre, performance arts facilities and arts studio featuring ceramic and pottery rooms. Digital photography and media arts are also available. Business education, information technology, foods, textiles, textile arts and crafts, woodwork, metalwork, mechanics and general technology are all offered at the junior level. Senior options include extensions of these classes, and specialized options, such as marketing, carpentry and joinery, drama, film and television, yearbook, business computer applications and accounting. Along with being a Microsoft Showcase School, Westview also offers an industrial design program featuring laser engineering and robotics, and digital animation, special effects and game design program. The school’s physical education department has a first-class gymnasium, weight training and fitness facilities. Students can also take yoga classes, Ultimate Fitness or use the state-of-the-art turf field. Westview’s athletics program includes basketball, soccer, rugby, field hockey, volleyball, wrestling, track and field and more. Students are also welcome to use the weight room at lunch or after school. A broad range of student support is provided, including full-time counselling, aboriginal support and youth care workers services. Westview offers the Microsoft IT Academy (ITA) program that provides students industry-leading technology skills. It also offers the BCIT Automotive Service Technician Partnership. Criminology, psychology, peer leadership and peer tutoring classes and global education/social justice programs are also offered. A soccer academy offers in-class and on-field soccer instruction for grades 10 to 12.